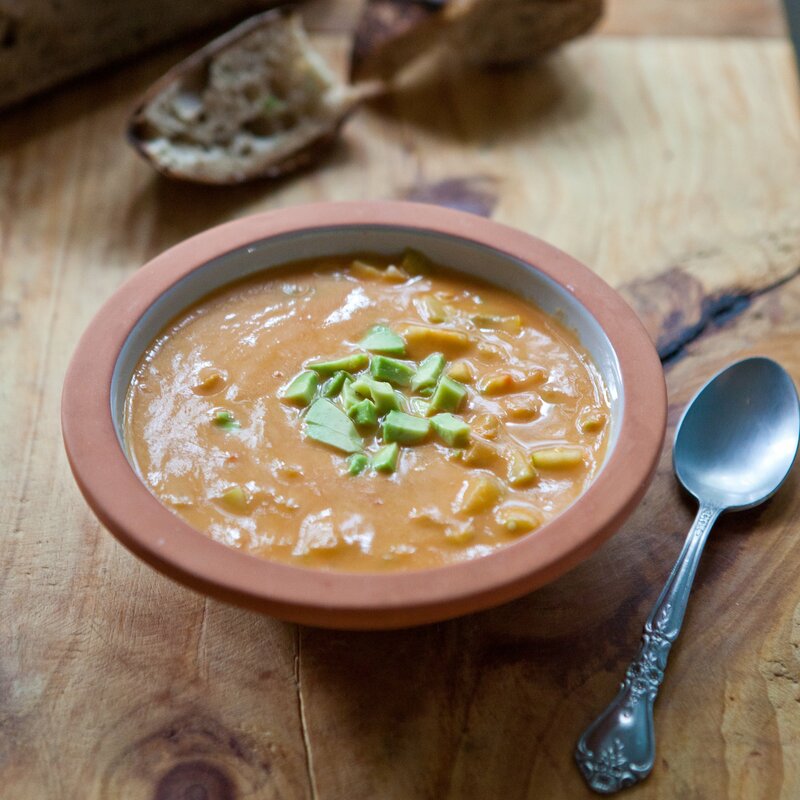 Yesterday's plan was to make this simple Tuscan White Bean and Fennel Soup for dinner. Not a crazy plan to execute. Very doable, in fact. 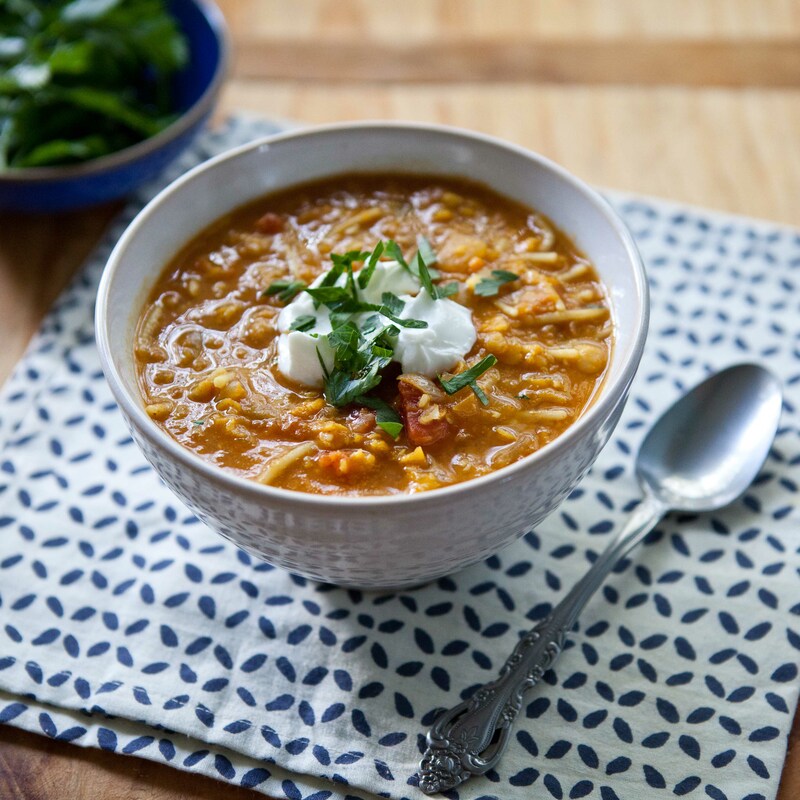 I shopped for the ingredients in the morning, and planned to start the soup before picking Oliver up from daycare, looking forward to him proclaiming "ZUPA!" (his word for "soup") like a merry Italian grandfather when he walked in the door. The reality was my kid ate a hot dog, cherry tomatoes and string cheese for dinner; Sam and I had ramen, and I finally got around to tackling this soup around 9 p.m. when the house was quiet. So it goes. We returned home from San Francisco on New Years Eve just in time for dinner, and craving greens -- or anything other than baked goods and pizza (ohhhh San Francisco, how I love your bakeries. And citrus. And winter sunshine). Instead of driving straight home, we stopped at our co-op where I ran in for some arugula, an avocado, a bottle of Prosecco, and for the checkout guys to not-so-subtly mock the outlook of our New Years Eve: rousing party, eh? They looked to be in their mid-twenties and I figured I probably looked ancient to them, sad even. But really, there wasn't much sad (or rousing, to be fair) about our evening: putting Oliver to bed, opening up holiday cards and hanging them in the kitchen, and toasting the New Year with arugula, half a quesadilla and sparkling wine. It wasn't lavish. But it's what we both needed. (Or at least what we had to work with.) Since then, I've been more inspired to cook lots of "real" food versus all of the treats and appetizers and snacks the holidays always bring on. I made Julia Turshen's curried red lentils for the millionth time, a wintry whole grain salad with tuna and fennel, roasted potatoes, and this simple green minestrone that I've taken for lunch this week. Determined to fit as many seasonal vegetables into a bowl as humanly possible, I spooned a colorful pesto on top, as much for the reminder of warmer days to come as for the accent in the soup (and for the enjoyment later of slathering the leftover pesto on crusty bread). I have an office in the upstairs of our house, but I'm often found camped-out at the kitchen table or nudged into our small breakfast nook -- coffee cup, computer, and messy notes scattered about. We live in an old craftsman that boasts only one heating vent on the second floor, so in the winter it's freezing and in the summer it can get pretty stuffy and uncomfortable. Spring, on the other hand, is the season I claim it all back. Working upstairs with the morning birds, the one curious roof-top squirrel, and the changing afternoon light -- it feels like my world alone. It's not shared with household bills, neighbor kids walking by, or the UPS man ringing the bell. It's just me, and I have to say: I notice a change in my writing, in the cadence of my day and in my mood. Everything feels a bit calmer and less harried. There's a tiny, noticeable transformation. Hello from up here. And suddenly, it's fall. I find that realization always comes not so much with the dates on the calendar as it does the leaves on the ground, the first crank of the heat in the morning, the dusky light on the way home from an evening run. Because we were gone on the train for nearly a week, I feel like fall happened here in Seattle during that very time. I left town eating tomatoes and corn and returned to find squashes and pumpkins in the market. It was that quick. And so, it only seemed fitting that I make this soup, one that has graced the fall table of each and every apartment (and now house) I've ever lived. In fact, I'm surprised that I hadn't yet made it for you here, and delighted to share it with you today. Something funny happens when you live with someone instead of dating them from afar. You learn little nuances about each other's behavior, see the bottom-of-the-barrel sweaters, take out the trash, and buy underwear and shampoo together. Sam calls my beloved furry slippers old lady slippers and, to be fair, they kind of are. And I've become well acquainted with his holey "sick sweater," his eagerness to retrieve the mail in the early afternoon, and his uncanny ability to drink more tea than anyone I've ever known. Also, I'm learning things about myself. Like the fact that, apparently, most people don't eat a whole grapefruit when they sit down for breakfast. According to Sam, they stop at a half. The week between Christmas and New Years is kind of magical, isn't it? A lot of people take it off from work, others put in half-days, and there's a palpable slow down to the hustle and bustle. There are loads of laundry, long walks, lounging with new books, and wishing complete strangers a Happy New Year. Just because. It's always seemed to me that there's this collective hush or sigh -- a kind of release and a relishing in the quiet. I didn't know this until last week, but Seattle has a way of gripping you in the fall. Sure, our leaves change in the Bay Area, and the light basks down glowingly in the afternoons and evenings in a much different way than it does in the summer. We get golds and touches of amber. Because I went to graduate school on the East Coast, I'm used to boldly-hued falls, but in Seattle the colors are more muted and in this way maybe even more beautiful. The air is brisk and crisp and you need to break out your coat. A scarf would be good, too. You may want to even leave the heat on overnight or turn it on the second you patter out of bed to take the chill off. Pulling off the farmers market this past weekend was a bit of a challenge. I had flown back from Seattle Friday afternoon, knowing full-well that the evening would consist of harried hours of crimping and baking, filling and frosting. And I was okay with that. I wanted as much time there as possible. First things first: thank you so, so much for all of your amazing solo-eating suggestions, and cooking-for-one book suggestions! I'm overwhelmed by your comments and emails...and dinner ideas. Where to begin? Grilled cheese, pasta with bacon, scrambled eggs for dinner...Yes, please. The majority of the advice I've gotten from family, friends, and you all here is that time continues on whether you like it or not. It just does. And through that, things get easier. I'm trusting you on this one. I just finished re-reading The Hours a few nights ago. Have you read it? I think Michael Cunningham captures the intricacies of character, relationships and moments really beautifully. Towards the end of the novel, I found myself rereading this passage over and over: "We live our lives, do whatever we do, and then we sleep--it's as simple and ordinary as that. A few jump out of windows or drown themselves or take pills; more die by accident; and most of us, the vast majority, are slowly devoured by some disease, or if we're fortunate, by time itself. There's just this for consolation: an hour here or there when our lives seem, against all odds and expectations, to burst open and give us everything we've ever imagined, though everyone but children (and perhaps even they) knows these hours will inevitably be followed by others, far darker and more difficult. Still we cherish the city, the morning; we hope, more than anything, for more." To me, this paragraph--in so few words--speaks to the human condition more than anything I've ever read. It's hard. We lose friends and relationships and have difficulty finding our calling or our life's passion. But then there are evenings when you look around the table at friends you haven't seen for ten years and smile, or you bite into the perfectly crisp apple--or those mornings when a hot shower feels like a gift from the Gods. Those are the simple, ordinary moments that give us a gleam that hope is justified. So along with all of your fabulous meal suggestions, I'm going to seek out these moments like nothing else right now--the hours that give a glint (or a full on beam) of hope and light. And spring, sunshine in San Francisco, and asparagus in the markets helps, too. So onward, shall we? There's nothing like making a hearty soup to break in a new kitchen. And you know how it is when you move: until you get the pantry stocked and a few items in the fridge, there's a lot of pizza and canned soup going on (or, in our case, burritos). So it was a welcome break in routine this morning to wake up to a stormy Monday, hot coffee waiting in the kitchen, and some free time to get busy in the kitchen. Finally. Now a quick business note before we talk about minestrone. 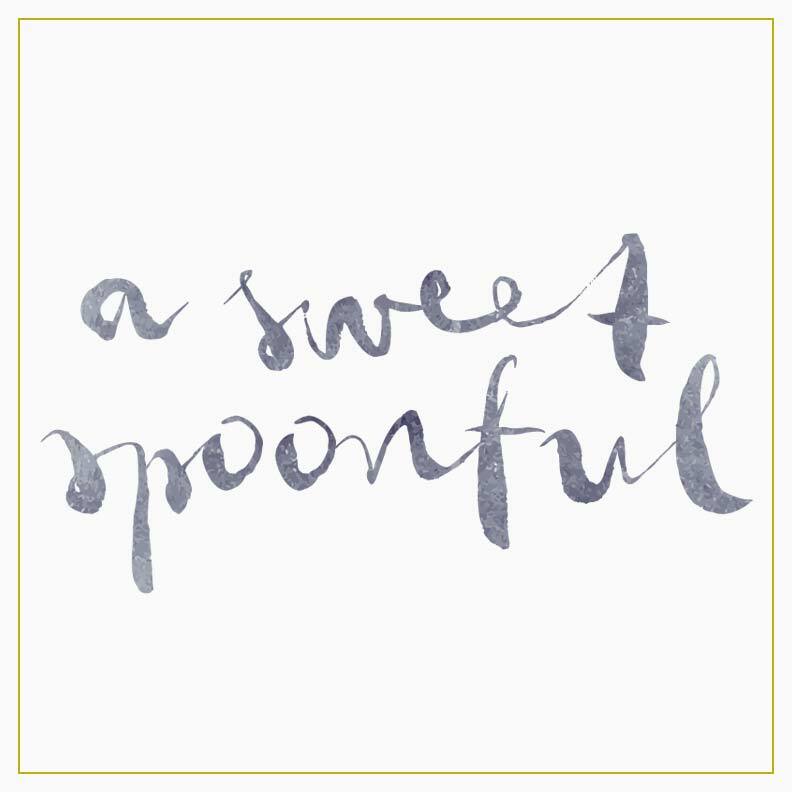 You've probably noticed: A Sweet Spoonful got a face lift! Have a peek around. There are some new features and pages, giving you the ability to print recipes, read travel pieces and restaurant reviews, and browse previous posts via photos. I also added a little Amazon page: just things I like and use often in the kitchen that I think you may like, too. The new site just went live a few days ago and somehow I've lost a lot of subscribers in the transition (not really sure how), and there have been a few mass email snafus (hopefully we've stopped that from happening in the future). So please make sure your readers/RSS are up to date and/or that you've subscribed via email in the box to the left. I'd love for you to stick around! Now on to the important stuff: hearty, winter soups. Minestrone is an Italian staple and is often known as "the big soup." It's kind of ironic that I found this recipe and set out to the store to purchase all of the ingredients (as our kitchen is still under- stocked at this point) because traditionally, this was a soup that you kind of add whatever's in the fridge--from meats, to rice and pastas, to vegetables. Most minestrone's I've had in the past are thick, tomato-based soups. But I was drawn to this particular recipe because it called for pancetta (hello!) and instructed you to simmer the soup with a Parmesan rind. Intriguing. It's more of a brothy soup, with lots of vegetables and incredible flavors. Perfect for a stormy afternoon...of which we've been having quite a few of around here lately. I recently bought myself a present. I'd heard amazing things about David Tanis's book A Platter of Figs. Cooks I respected loved it, I kept running into it at bookstores, and then I was visiting my sister in Seattle and saw it on the shelf at Delancey That's it. I was sold. I'm not sure how to even talk about this book because it's so unlike any other. It's not just a cookbook. 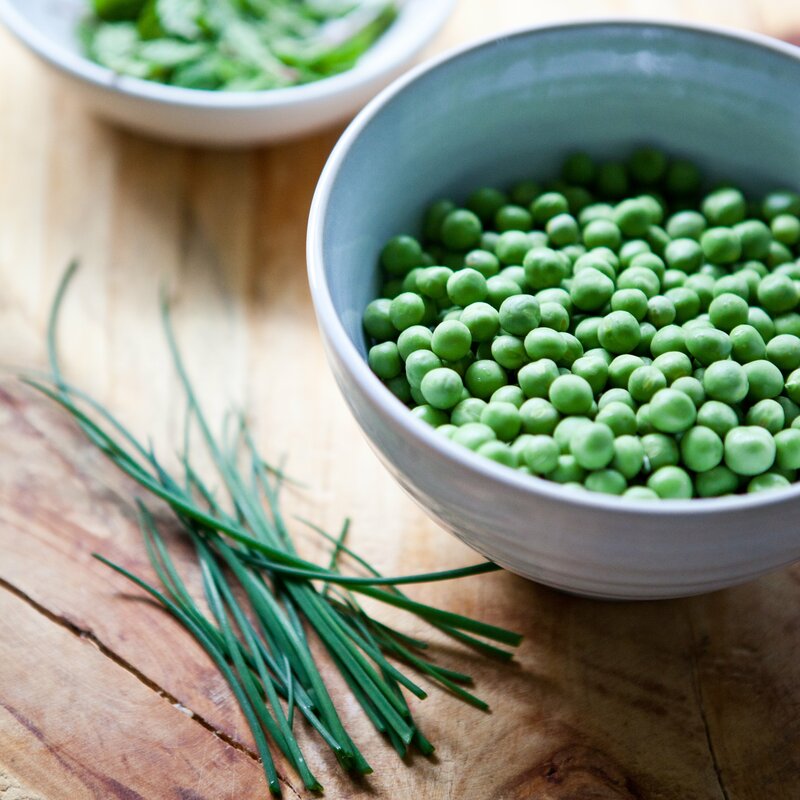 Christopher Hirsheimer takes beautiful, spare photographs that really highlight the integrity of the food. And then there's David's recipes. He focuses on simplicity and seasonality. In his introduction, he notes "The platter of figs is a metaphor for the food I like. Fresh ripe figs are voluptuous and generous, luxurious and fleeting. And beautiful." If you're not familiar with David's story, he grew up in Ohio, moved to California, took odd jobs in Bay Area kitchens, landed a pizza and salad gig at Chez Panisse and eventually stayed to run the upstairs cafe. The draw to open his own restaurant eventually brought him to Santa Fe. He was extremely successful there, but business became tough in a depressed economy and David moved back to CA...and to Chez Panisse. At the time, he shared the downstairs restaurant chef position with Jean-Pierre Moulle. They split up the week. Then in 2001, an opportunity arose for David to move to Paris. Initially saddened, Alice Waters came up with the perfect plan: instead of splitting up the week, they could split up the year! And that was that: David cooks for six months out of the year at Chez Panisse and during the other six months he hosts a private dining club in Paris, preparing meals in his tiny galley kitchen. In talking about initially meeting David in the early days and asking him to cook lunch for her, Waters notes,"It was that lunch's radical simplicity that won me over." And that radical simplicity is exactly what drew me to A Platter of Figs. The book is split into seasonal, themed menus. For example, under Fall you'll see "The Bean Soup Lunch" or "Dinner for a Tuscan." David's writing is visual and visceral: he paints lovely narratives before each menu, talking about the weather, the seasons, the light at a certain time of day. You could buy this book with little intention to cook any of the recipes and still enjoy it. I promise. This is my favorite soup recipe. Ever. I discovered it in Vegetarian Times when I was a vegetarian and living in Boulder, CO (fitting, I know). But more than anything, this soup reminds me of snowy afternoons in Boston. A whole pot would feed me for a good five days. As a graduate student, I'd stock up on bread, butter, greens, coffee and milk, plenty of tea, and a chocolate bar and I could hibernate for quite some time. The smell of the fennel seeds cooking in olive oil brings me right back to my pink-tiled Brookline kitchen. I'd sit at the bay windows, looking out at elderly Russian women in vibrant silk scarves pushing their shopping carts back from the corner grocery store, and college kids with backpacks and arms of books racing to catch the bus. I'll always equate the smell of this soup with that light-filled pink kitchen, fallen leaves whipping by the windows, and the fading Eastern afternoon light.